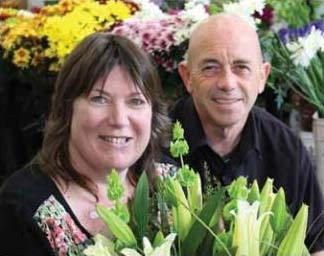 This is us - Philip Selwyn and Jo-Ann Moss the owners of Best Blooms. Money Back will be actioned on the same day we resolve the complaint with you. Payment will be made securely via Paystation (as per your payment) back to the credit card you originally purchased on in NZ dollars. This may take 2-3 days to appear on your credit card - subject to your financial institutions processing time. This is outside of Best Blooms control. Best Blooms accepts no liability if incorrect or incomplete address details are given in your order. Specific Requests: If you have a specific request of a flower to be included or colour wrapping or anything else that is important to you for your order, please do write us in the Notes to Florist section of your order, so we know how important this part is to you. Guaranteed Flower Delivery Times in Auckland. Please do provide us with full contact details for the recipient to ensure the courier is able to gain access - such as security gates, apartments etc. If the courier needs to go back to the address to complete the delivery then there will be an extra re-delivery charge of $15 which is payable by credit card. Best Blooms does not accept any liability if the customer has provided us incorrect or incomplete delivery details. We will work with you to ensure delivery is made, although this may not able to be on the same day - subject to location and proximity of delivery addresses. You will be contacted in regards to getting correct delivery details. If you have any further questions - Please do call our florists on +64 9 838 9058 - we want to take care of your flower delivery for you!